Despite the flu of a week that even multi-colored pills of the legendary American drugstore can diminish me, here I am on track to begin tomorrow a task force of images and interviews to tell Eataly and Identity New York. Tonight arrive the chef, eagerly awaited by the public of the Big Apple: Massimo Bottura, Davide Scabin, Niko Romito. Gennaro Esposito, Cristina Bowerman, Pietro Zito, Pino Cuttaia, Emanuele Scarello, Ugo Alciati, Moreno Cedroni and pastry chef Luca Montersino are the 11 of the Italian team that will take the field tomorrow. Everyone brings a dish, tied to the Italian tradition, which New Yorkers can order from tomorrow through Thursday in the many restaurants within Eataly. Gennaro Esposito at the pasta, Cedroni al crudo, Bottura and Scabin at “Manzo” of Batali dedicated to meat, Zito in the corner of the vegetables … each chef will have a corner where you can order and taste their dish. The 11-course meal, together in a full menu and accompanied by excellent wines will be the location of the exclusive dinner on Wednesday evening, with 50 first-class customers of the new store Farinetti. 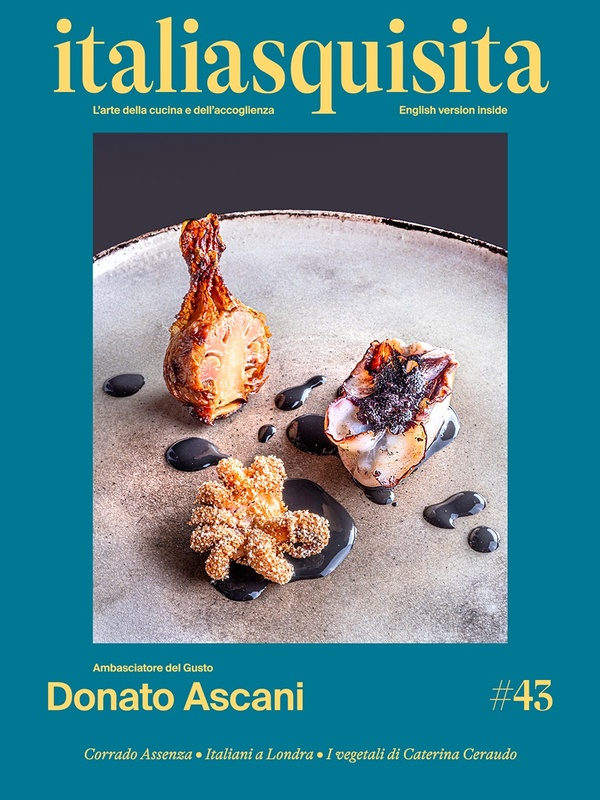 Identity New York, organized as always by Studio Magenta on track of Paolo Marchi, will take on stage at New York the great Italian food, supporting the initiative of Oscar Farinetti, which is already having a tremendous success. We know that New Yorkers love the fashions and the queues outside the shops (I remember I stayed 15 minutes waiting at Abercrombie & Fitch), but I assure you that is a unique pleasure to see them waiting for a pot of coffee or an original Italian product. Eataly New York, with a huge open space that overlooks the street 5 and 23west, receives hundreds of customers every day. In the crowded bar of Lavazza at 12 was like walking in Times Square. At each table, couples and friends sat down to eat pasta, ham and cheese. The queue for sandwiches and Italian wines doc, curious in the departments of oil and cheese, crackers, bread and pizza, with which I see many go out for lunch in Union Square. I must say, the Italian is loved, but finally we can get to be known not for the improbable pizza with ketchup or lasagna with peppers, but for the authentic Italian excellence. There's more: oils, cheeses, meats, wines, beverages, meat, preserves, confectionery ... Eataly is a collection engine of all the best of Italy to bring the authentic flavors to American palates. Oscar Farinetti, with Lidia Bastianich and Mario Batali, seems to have succeeded in a true mission. From tomorrow, including interviews with the protagonists, from Oscar, to Paolo Marchi, to the chefs and a few passing visitor, we will discuss all aspects of Identity New York and of Eataly at New York.